Great hotel in a central location. Next to a shopping mall, for those who are looking for a souvenir or a gift. Clean, comfortable, very good breakfast. We stayed there last Saturday with only 54 euro per room (breakfast included) from HipAway. 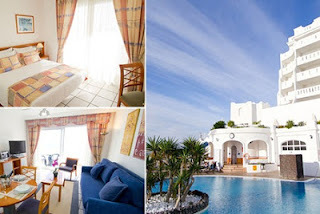 For bookings until 10 March 2013 (stays throughout 2013) you get 20% discount with the RatesToGo promo code GIVEME20. 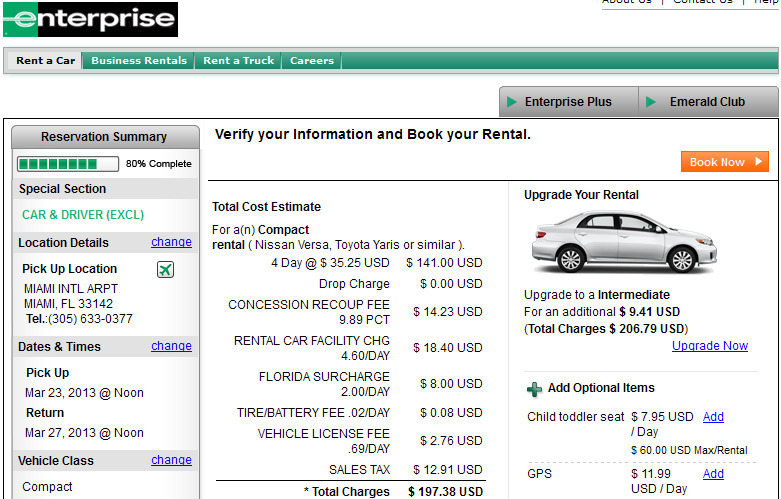 The discount is valid only when the booking is made in Australian Dollars. The RatesToGo voucher code must be typed in at the bottom of the hotel search form, just below the "Search" button. 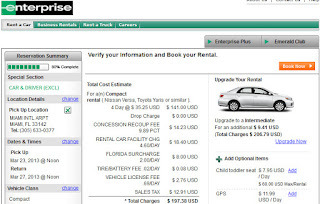 Holiday Autos (part of lastminute.com / Travelocity) has a 20£ promo code for car rentals worldwide. 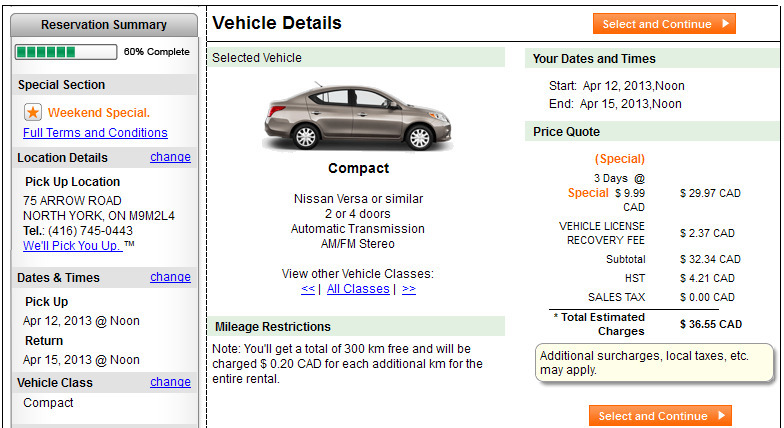 - pick-up period by 31 May 2013 (excluding the period 29 March - 1 April 2013). 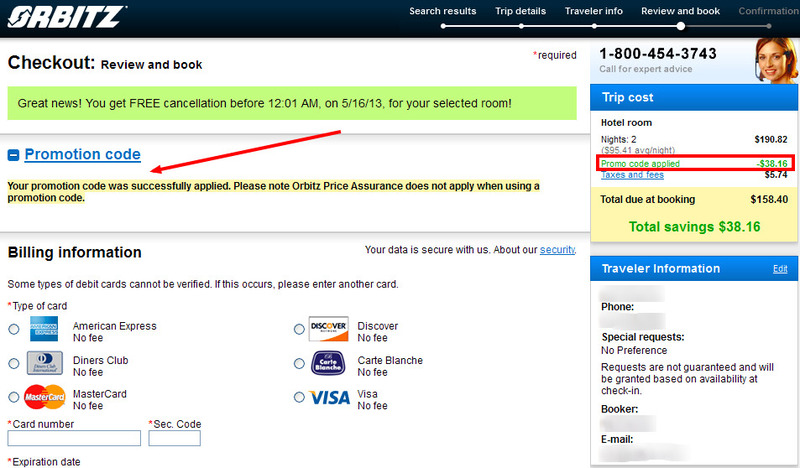 The best deal currently available outhere: 20% discount from Orbitz on hotels worldwide. 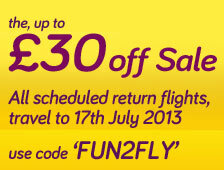 Valid for stays until 30 June 2013, when booked until 3 March 2013. For 2 nights over the week-end 17-19 May 2013 in Luxembourg, at the NH Luxembourg****, you save 38$ to arrive at a final total price of 159$ (free breakfast and free minibar). 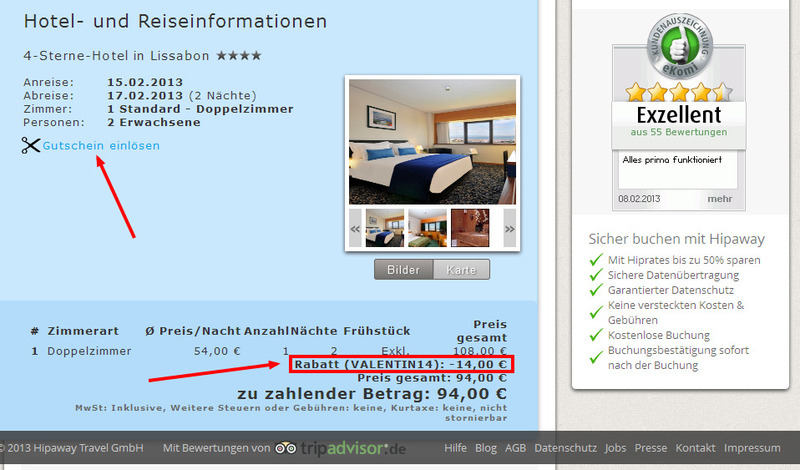 The same room costs 196$ from booking.com (but without the free minibar). NH Hotels offers daily free breakfast and free minibar (not restocked on the second day), for 2 nights stays over any weekend stay (check-in on Fridays or Saturdays). The bookings are cancellable until 48 hours before the stay. The mini-bar is not included in Spain, Andorra and Portugal. Some other hotels in Switzerland, Netherlands and Germany do not have a minibar in the room. As an example, 2 nights over the weekend 5 - 7 April 2013 at the NH Danube City Vienna, Austria, have a total price of 229€ from NH Hotels (free breakfast and free minibar). The same room costs 254€ from booking.com, but without the free minibar. We stayed with this rate in Bucharest and calculated that the value of the free minibar was about 50€. For bookings between 22 and 28 February 2013, you get 4% discount on all hotels booked through AlphaRooms (a minimum 2 night stay required). The code should be typed in at the bottom of the hotel search box. 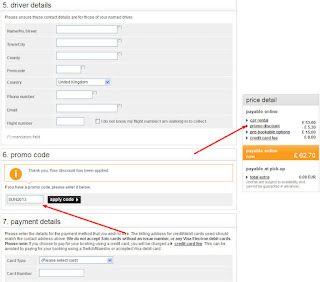 As an example, with the AlphaRooms coupon code you save 6€ to arrive at a final price of 158€ for two nights over the weekend 7-9 June 2013 at the Hotel Lorenzo il Magnifico**** in Florence, Italy (that's 84€ per night, breakfast included). The same room costs 326€ from hotels.com (more than double). As an example: Courtyard by Marriott Istanbul International Airport, has a total price of 154€ for 2 nights (22-24 February) for a deluxe double room, with this eBreaks special rate, breakfast included. The same room costs 192€ from booking.com (20% discount when booked directly on Marriott's website). You could win flights to South East Asia worth £1500 GBP (or $2,400 USD). You must be available to travel using the prize between 1 March 2013 and 30 September 2013. 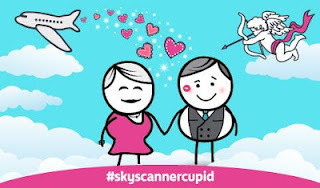 The competition is organised by SkyScanner and SouthEastAsiaBackpacker.com. Everyone can enter the competition until 28 February 2013 (the winner will be announced on 1 March 2013). A jury will choose the winner, based on who will be the most inspiring and imaginative. Good luck and tons of inspiration ! A very good deal for a night out in central London, offered by LivingSocial. - bottle of Heidsieck Monopole champagne. 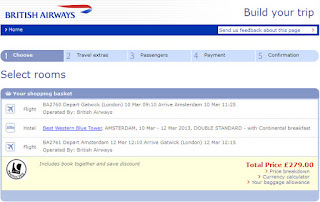 Voucher available for purchase until 18 February 2013 (to be used until 19 June 2013). As an example: AC Hotel Som in L'Hospitalet de Llobregat, near Barcelona, has a total price of 110€ for 2 nights (15-17 February) for a king room, with this eBreaks special rate, breakfast included. 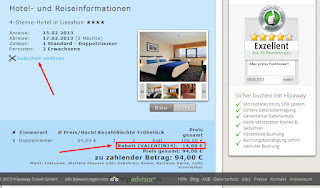 The same room costs 165€ from booking.com (more than 30% discount when booked directly on Marriott's website). The details HipAway provides before making the purchase are the approximate map location of the hotel, some photos, the amenities of the hotel, and the overall guest rating on TripAdvisor. With these elements, one can make a pretty good guess about the actual hotel. Even better, for bookings until 14 February, they have a 14€ discount with the coupon code VALENTIN14. Follow the text code or the banner below to see how it works. Zoom in on this area to get a better look at the street names and landmarks. 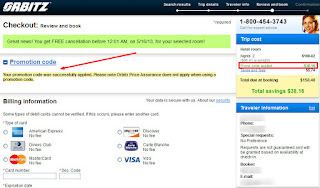 In a separate tab open booking.com and go to the same city (Lisbon in our example). Click on the "Show map" button on the top right side of the screen and then zoom in on the same area HipAway pointed to. Then, compare the two maps to see which hotels form the booking.com map could correspond to the HipAway hotel (remember that HipAway shows you the star-rating of the hotel, as well as some photos and amenities of the hotel). Using the method above, we identified that the Lisbon hotel from the print-screen above is Altis Park Hotel**** - see http://www.booking.com/hotel/pt/altisparklisboa for details about the hotel. Thus, on Hipaway, for 2 nights over the week-end 15-17 February 2013 one double room costs 94€ (a 40% discount on cost of 140€ charged by booking.com). UPDATE: try this new code, because the old one does not work anymore. We finally found the long sought-after deal: a 10% Hotels.com voucher code valid for any booking during the year 2013 (for travel until 30 June 2014). Offer valid for economy or compact cars rented in neighbourhood locations, for rentals from Fridays / Saturdays to Mondays. 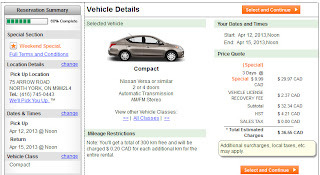 Only 100 kilometers per day included in the rate, any excess will be charged at 0.2 CAD per kilometer. While this deal might not be suitable for many, it could be a very good opportunity for those looking for a week-end break not far away from home.